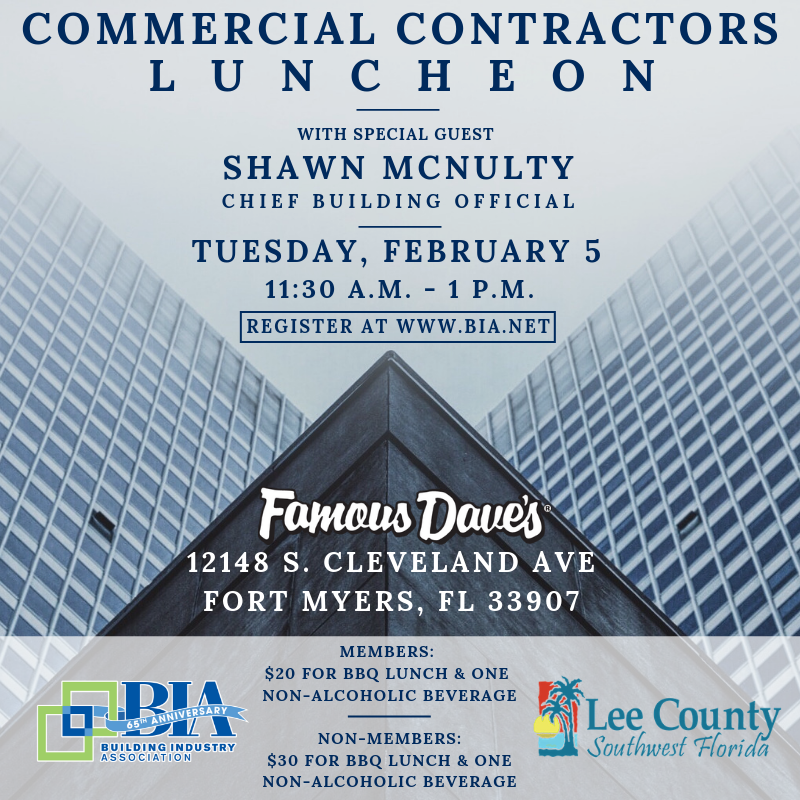 Calling all commercial contractors! Join us for a BBQ lunch at Famous Dave's on Tuesday, Febraury 5th. You will hear from Chief Building Official Shawn McNulty on topics such as permitting, plan review and software changes. A question & answer session to follow his presentation.